Zoho OneAuth secures your Zoho account from password breaches by adding an extra layer of security through multi factor authentication. 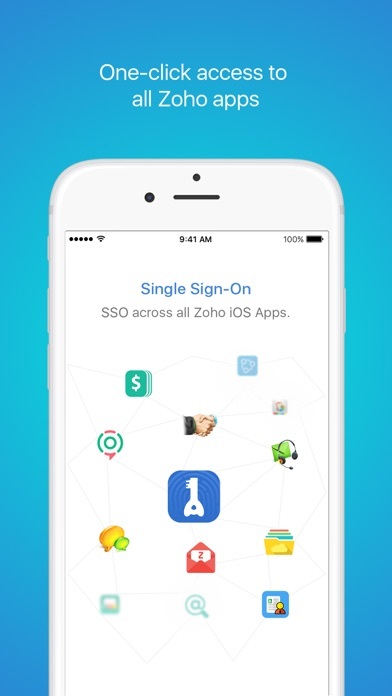 It facilitates one-click access to all your Zoho apps through single sign-on. 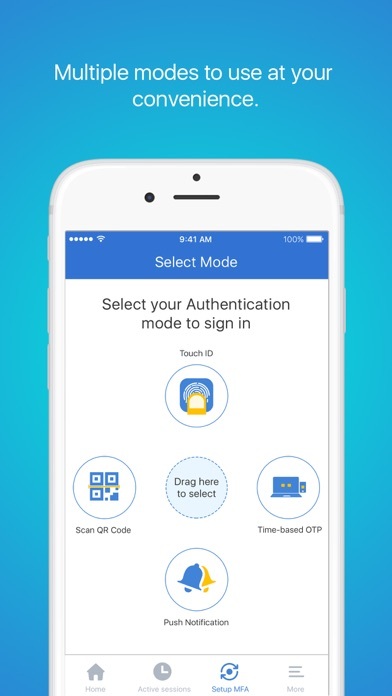 Install the app, choose your authentication mode (includes cutting-edge Face ID) and you are all set to go. 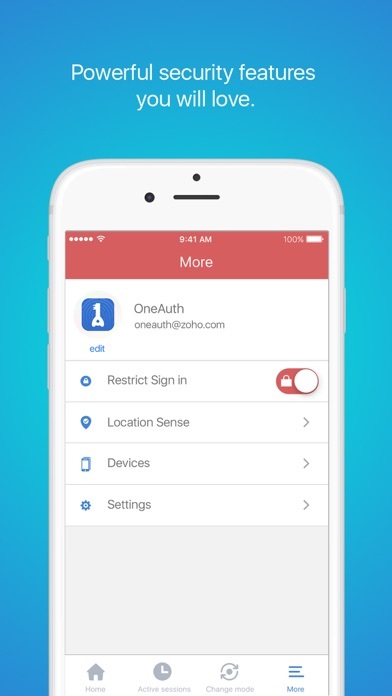 The advantages of using OneAuth to set up the two factor authentication are: • A secure account that always requires authentication from your device • Option to choose your convenient authentication mode • Support for Face ID, Touch ID, Push Notification, Time-based One Time Password, QR Code • Single sign-on that enables one-click access to all your Zoho apps • Secondary Devices to authenticate even if your primary device is not with you • Works on both iPhone and iPad • Works even if your device goes offline Zoho OneAuth app goes beyond authentication and single sign-on by helping you manage your account right from the app. 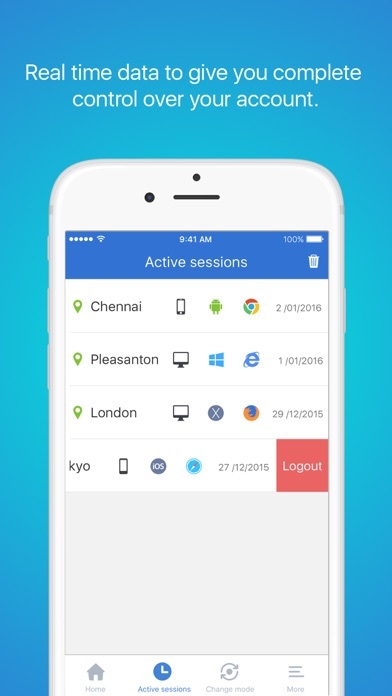 You can get the list of active sessions with details and swipe any session that you find suspicious. Set up 'Safe Zones' such as your office or home to allow sign-in automatically without authentication. If you suspect any hacking attempts, you can disable sign-in to your account with a single swipe. Go ahead and install the app right away. It's free, easy to use and secures your account always. Share your feedback through the app, reach our support for any queries, and write a review to let us know what you think. We're all ears. Not a user friendly app. So easy to login I especially like the fingerprint scanner. Very secure. works perfectly every time with FaceID on iPhone x. i’m loving how seamless Zoho is. Strongest security I have seen, well done. Paul Incze- Payments Security Consultant- First Nationwide Payments.